When this client in Hoppers Crossing approached Everlast Services (formerly Everlast Fencing), we were only too happy to help with their aluminium slats single gate. After all, we are the aluminium slats specialists! 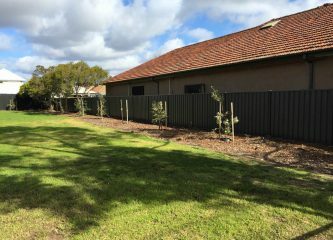 The use of aluminium slat fencing for side gates is always the perfect choice. Aluminium slats offer superb architectural style. They have crisp, modern lines and a finish designed specifically to enhance the look of any property, particularly your home. Not only that, Everlast manufactures all its own aluminium fencing panels on-site at its factory in Hoppers Crossing. That means we can design and manufacture to order (as we did for this job), allowing us to install slats vertically, horizontally, with any sort of spacing in between slats and any colour slats that you need. Best of all, our aluminium slats are tough, durable and low maintenance, which was exactly what this client needed. 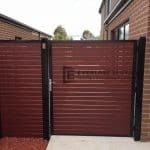 This tough, durable side gate will protect our client’s family home for years to come; they can rest easy knowing that their family and possessions are now that little bit safer. 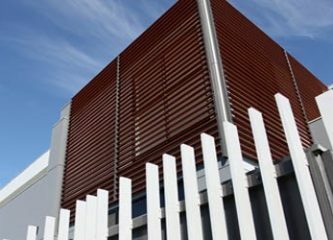 So, if you’re on the look-out for a fencing material that combines strength and protection, with good looks, then our aluminium slat single gates could be exactly what you need. From small access gates and pool fencing to everything in between, we can help. 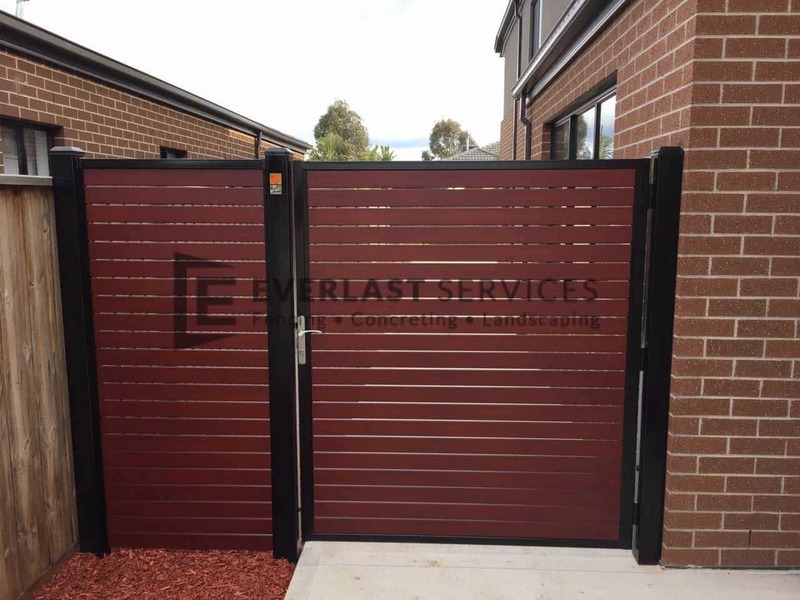 Best of all, because we design and customise each gate at our own plant in Hoppers Crossing, you can select everything about your side gate, from colour to size and pattern.